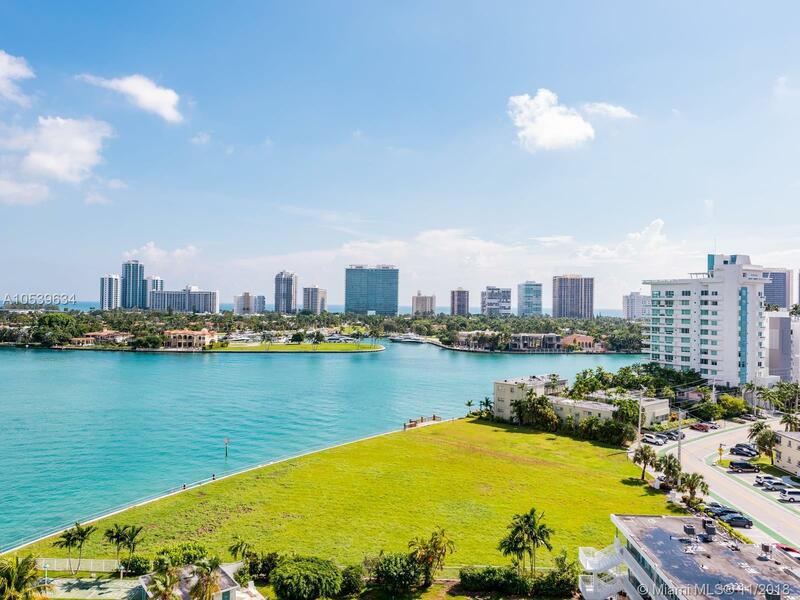 A must see "ready to move-in" waterfront penthouse 2 bed/ 2 bath + den in Bay Harbor Island. Views of Ocean and Bay and Bal Harbour from bedrooms, and living area as well as private balcony. Renovation of hallways and lobby just completed, no assessments. Impact windows and balcony doors. Washer/dryer in unit. Kitchen features stainless steel appliances and granite countertops and backsplash. 2 assigned parking. The pool deck is bayfront, with dockage available for pick up and drop off, and temporary stays. Amenities at mezzanine level include a library, party room, and deck, as well as a gym. Directions: Google: 10350 W Bay Harbor Dr, 33154 From Collins Take 96 St West Over Bridge, Take First Right And Go North On E Bay Harbor Dr To Tip Of Island.